One of the reasons I love Midwest living is the glorious seasons we experience, and fall is one of the best here in Indiana. This week, my mom's club traveled to Trafalgar, Indiana to tour the beautiful Apple Works Orchard there. I blogged about our visit over at the Indiana Insider. The arrow loved romping around the apple trees, and my only challenge was keeping the dirty apples out of his mouth. 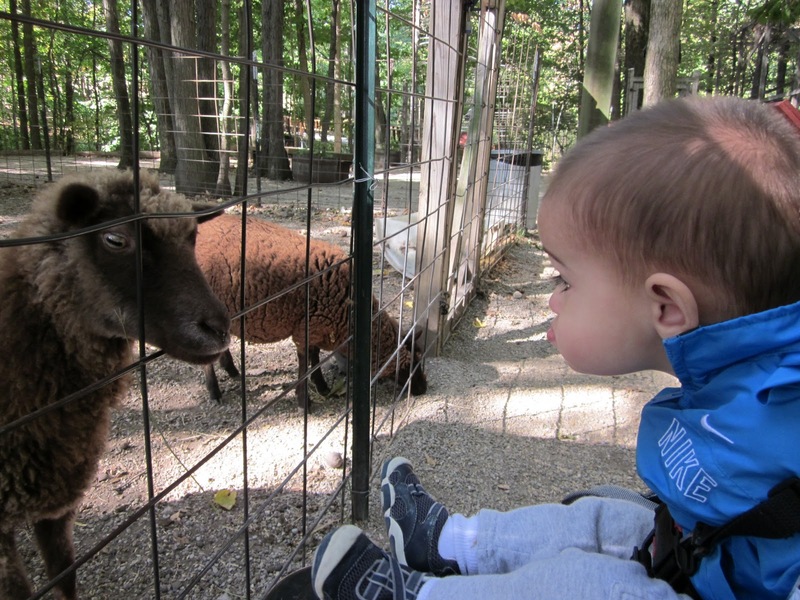 He also loved the petting zoo. I mean, reeeeeeally loved the petting zoo. 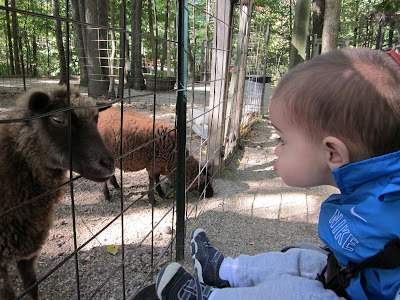 You can't tell from this shot, but he did in fact make lip to lip contact with that sheep. His first kiss? Not exactly the way I pictured it. I have to admit that "midwest" is so out of my realm of understanding as I live in Seattle. Thanks for sharing why you love it so much and I look forward to reading more! Apple and cider season is one of my favorite times of the year here in Michigan, too!